1. The world champion outplayed: Aronian analyses his win against Carlsen at Norway Chess. 4. 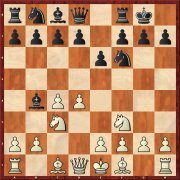 Classy queen trap: enjoy Aronian’s second stroke from Stavanger in Daniel King's video analysis. 5. 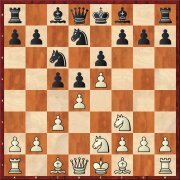 “Reti’s mate”: in Efstratios Grivas’ FIDE Training course learn about a rare but tactically highly effective idea. 6. “No clear path to equality”: GM Postny pulls together the trends in the Queen's Gambit Accepted and comes to a critical conclusion. 7. 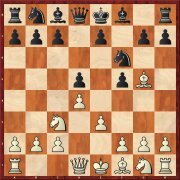 What can you do against the Ruy Lopez Exchange Variation? Daniel King introduces you to the present state of theory (video). 9. Good in practice: Nadezhda Kosintseva arms you with the universal weapon universal weapon 4.e5 Nfd7 5.Nce2 against the French Steinitz Variation. 10. Hammer blow 14…Rxf3: Adhiban analyses his brilliancy against Akobian at the World Team Championship. The move order is quite deliberately not that of the original Volga Gambit. Because Petra Papp intends her repertoire suggestion for Black specifically as a weapon against the King’s Indian or the Grünfeld Defence with g3. It is very important for Black to delay the recapture on a6. 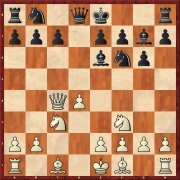 Many players have realised that the capture 4.Bxf6 does not bring the hoped for results, see also the article in CBM 177. Therefore Viktor Moskalenko has also dealt with the solid alternative 4.e3. White wants to play Nf3, Bd3, Ne2 and then c4, but that is somewhat slow. As Nadezhda Kosintseva demonstrates in her contribution, with best play Black should certainly be able to equalise against 5.Nce2. However, there is a great dearth of knowledge concerning the best plan for Black and a well prepared player with White can therefore count on having some chances. The move 4.a3 has no strong advocates at the moment. 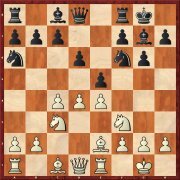 But Leonid Kritz shows that things are not quite so clear-cut and that in the position in the diagram Black actually has only one good move. But that knowledge does not appear to be very widespread. 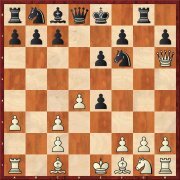 In games amongst the world elite, whenever the Open Ruy Lopez is played you can almost certainly count on the position in the diagram appearing. Alexey Kuzmin has investigated it and come to the conclusion that Black has good chances of equalising but that there is a great amount he needs to know. The variation with 8...e5 is a very good drawing weapon. 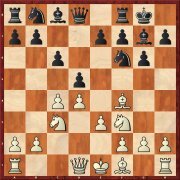 But you need to be prepared to defend a minimally worse endgame, which according to Andrey Sumets does not represent the correct strategy for everyone. White should be prepared to react flexibly. 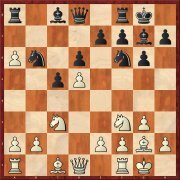 Here White apparently has the favourable version of a Schlechter Defence, because the bishop has already been developed to f4. But Mihail Marin points out in his article that the bishop is also exposed there and that Black thus has some additional possibilities. It may be mostly White who wants to deviate from the deeply analysed variations in the Grünfeld Defence, but for Black too the necessity for extensive theoretical knowledge is of course just as much a problem. So Robert Ris suggest the as yet rarely played 6...Be6. Igor Stohl’s article deals principally with 5.Bg5 (5.e3 and 5.Qc2 would tend to transpose to other main systems). 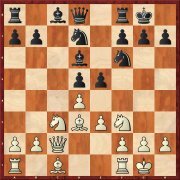 Then 5...c5 is a move which fits in well with the opening and according to our Slovakian author gives a satisfactory game. 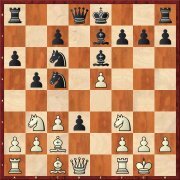 Michal Krasenkow examines above all the two most important replies for Black, both 8...c6 and 8...Qe8. After them he considers White to have an advantage since “It is not easy for Black conjure up satisfactory counterplay”.